After the first 2 years, Alde recommend replacing the antifreeze in the system with a 5-year G13 spec product. 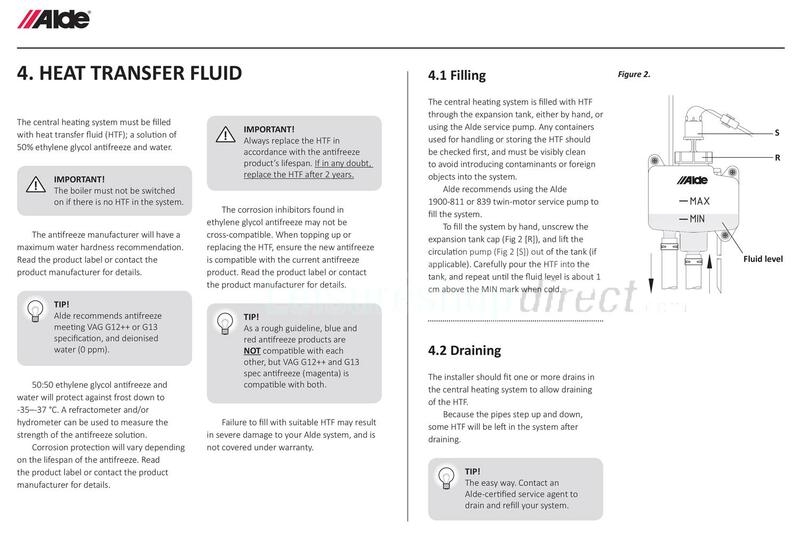 For information on how to fill the Alde system or to check that the level is safe and not damaging your system view the image from the Alde user manual. Alde Premium G13 is compatible with the blue 2-year antifreeze* used by most UK caravan and motorhome manufacturers, and can be used for topping up. Improving on the previous G12++ specification, Alde Premium G13 Antifreeze provides the same benefits but with a manufacturing process that’s kinder to the environment. Alde Premium G13 is ready to use, pre-mixed with deionised water, and does not require further dilution and is ideal for topping up Alde central heating systems. Alde G13 premium antifreeze ready mixed premium quality glycol for Alde heating systems with long-life 5 year corrosion protection. 5 years, the glycol creates a long protective layer for the heating boiler and aluminium tubes inside, no gel formation or separation and environmentally friendly. Can I use tap water to mix with my antifreeze to add to my Alde Heating System? No - Only deionised water should be used. Tap water should be avoided whenever possible as it can cause corrosion. Why do I have to replace my Antifreeze in my Alde System? After its recommended lifespan, the qualities of the fluid will degrade. 2. 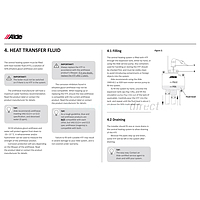 Coolant - The Alde Heating system is a balanced controlled system, the coolant is vital in removing the heat away from surfaces. 3. Corrosion Protection - Very important to keep your system running at it's optimal performance. 4. Bacterial Protection -This prevents microbe activity building up in your system. As the fluid degrades down to a 27% ratio then the antifreeze & coolant loses its quality which will result in cooling issues. At 20% ratio there will be bacterial growth where micro-organisms can build up in your system resulting in a fishy/rubbery smell in your system. At 10% ratio there is 100% chance that there will be bacterial growth! Why does my Alde system smell of fish / have a rubbery smell? This is a result of too low concentration of the antifreeze fluid. If the levels get down to 20% concentration then the protection is very low and micro-organisms will build up in the system causing this smell. The only option to rectify this is a total flush out of the system. Alde do provide this service at their Wellingborough Workshop or your contact your local dealer. Why use Alde G13 Antifreeze, isn't there a cheaper option? Alde G13 Antifreeze is a very high quality antifreeze mixed in the optimum ratio for your Alde Heating system. If you decide on a cheaper option then you will likely not receive the optimal performance from your system. 4. Bacterial Protection - This prevents microbe activity building up in your system. Weak antifreeze mixtures of less than 20% will have microbe growth resulting in bad smells. Can I mix blue & red Alde antifreeze? The colour of Antifreeze is not important as you can have the same antifreeze but be two different colours. Thus, in theory the colour is not relevant. However, we would never recommend mixing two different Antifreezes together. What would likely happen is a chemical reaction between the antifreezes which would nullify the quality of them. 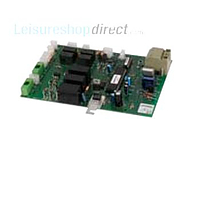 This would then potentially damage your Alde system. 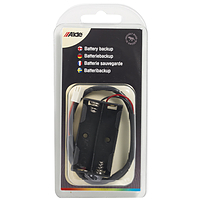 Alde G12++ or Alde G13 can be added to any system and will not react with the antifreeze currently in your system. What is the difference between Alde G12++ Antifreeze and Alde G13 Antifreeze? The Alde G12++ is exactly the same as the Alde G13 but the method of creating the G13 liquid is more environmentally friendly. What is Alde G13 antifreeze? This is 50% silicated (OAT) Organic Acid Technology antifreeze and 50% deionised water. This is the optimum mix for your Alde System. 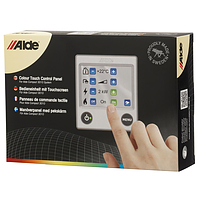 I keep getting Overheat Red on my Alde Heating system control panel? This is likely that you have a too strong ratio of the antifreeze or too weak. 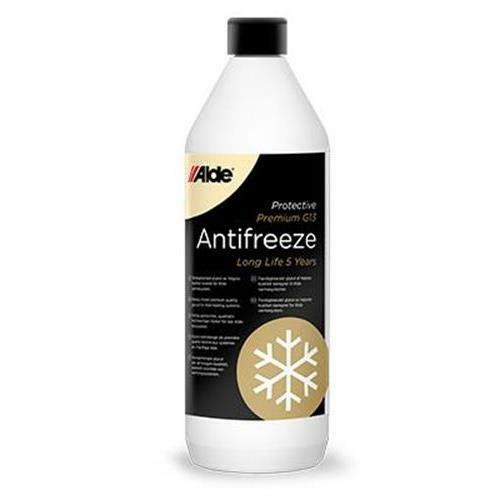 We recommend replacing the antifreeze well within its lifespan with Alde G13 antifreeze. If you leave it too long then the antifreeze will degrade resulting in overheating issues. Also, if you have mixed the antifreeze with water yourself and the ratio is more than 65% then this again will result in overheating issues. 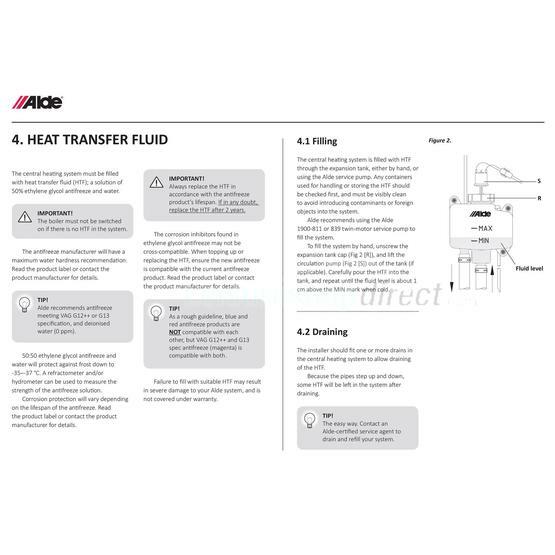 What happens if I put too much Alde antifreeze into my Alde Heating system? If you put more than required (more than the minimum level) then the excess fluid (Alde Antifreeze) will drain from the expansion tank to the outside of the vehicle. When Will I Need To Swap The Antifreeze In My Alde System? On a new van, the antifreeze used has a 2 year lifespan. 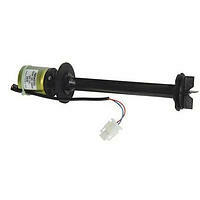 We recommend changing it with Alde G13 Antifreeze after that point which has a 5 year lifespan. How much antifreeze is in my Alde system? There is a total of about 14 litres in your Alde Heating system. When will my Alde Heating system need topping up? On a new van after a month of use there is a good chance it will need topping up as air leaves the system. Ensure then system is showing that the Alde antifreeze level is at the minimum level when cold. To check for air, run the pump continuously for an hour and then bleed all the radiators. 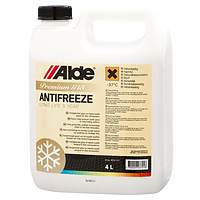 How do I top up my Alde antifreeze? You can tip more Alde antifreeze into your system via the expansion tank, normally located in a wardrobe. I have an Alde 3020 fitted in my new motorhome. Do you have any tips? - Do not run the system dry, empty of antifreeze solution. The boiler will be damaged beyond repair. - Do not use greywater or desalinated water in the fresh water system. Only use potable drinking water to avoid corrosion of the stainless steel. - Do not use a sterilising or winterising chemical in the fresh water system unless it is suitable for use with stainless steel. Puriclean by Clean Tabs is recommended. 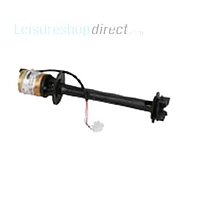 - Do not rely on the central heating to prevent the fresh water from freezing, even if living in the vehicle. 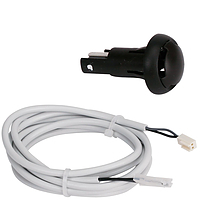 Always drain down for winter unless the vehicle is explicitly stated to be self-winterising. - Do not mix incompatible antifreeze. Either top up with the same spec antifreeze, or use VAG G12++ or G13 Spec. - Do not use hard water to mix the antifreeze solution. Deionised water is recommended. - Do not dispose of antifreeze in any way except in accordance with PPG19, it is against the law. - Do not open the bleed screws whilst the circulation pump is active. Air may be sucked into the system. - Do not obstruct the air vents in the boiler compartment. The thermal fuse might cut out. - Do not use gas heating whilst driving. Even with a crash sensor regulator fitted. Gas heating must be off when pulling into a fuel station. - Do not rely on gas heating at high altitude. LPG combustion and performance is impeded above 1500 metres by the Laws of Nature. 3020 boilers in 2017 leisure vehicles have a High Altitude Mode on the control panel. I am thinking of installing an Alde 3020 boiler. What general maintenance and consumables are there? The ethylene glycol antifreeze is a consumable and will need replacing before its protection expires. Most UK OEMs use silicate-containing antifreeze with 2-year protection from new. Seasonally inspect the boiler's flue hoses. Check that the hoses are still secured and undamaged, and that they're clear and unobstructed. When in constant use, completely drain and refill the fresh water system once a month. Safety and emissions tests should be carried out in accordance with local codes and regulations. What antifreeze should I use with Alde boilers? Most of the caravan/motorhome manufacturers in the UK supply their vehicles filled with 2 year antifreeze. This is normally blue; however please check with your manufacturer. If topping up your system, or replacing the fluid in your system, we advise the use of Alde G13 spec antifreeze as this is backwardly compatible with any pre-existing antifreeze in your system. The main benefit is that it has a 5 year corrosion/frost protection, saving you time and money in the future. The fluid in your system should be a mix of 50% antifreeze and 50% deionised water. This will provide optimum protection down to -37°C. (The strength of your fluid can be tested with a refractometer or hydrometer). Hard to review a 1 litre bottle of anti freeze. Dealing with the seller was an excellent, pleasurable experience. Thank you.